Harry van Lenthe (1970) is a Full Professor of Biomechanics at the Biomechanics Section in the Department of Mechanical Engineering at KU Leuven (University of Leuven), Leuven, Belgium. Born in the Netherlands, he studied Mechanical Engineering at University of Twente, Enschede. In 2001, he received a Ph.D. in Medicine (Orthopedic Biomechanics) from Radboud University, Nijmegen. He worked as a post-doctoral fellow at Eindhoven University of Technology and at ETH Zurich. At ETH Zurich, he became a Lecturer in 2004. Since 2007 he has been working at KU Leuven as an Associate Professor (2007), Professor (2011) and currently as Full Professor (2015). The research of Harry van Lenthe focuses on the quality of bone, and how it is changing during growth and aging. In addition, he is studying the interaction between bone and implants. He has been developing quantitative non-invasive methodologies, using state-of-the-art bioimaging, visualization techniques, and computational analyses, to assess bone quality. Main areas of expertise are micro-CT scanning and subsequent quantitative analyses. A special focus is on micro-CT-based finite element modeling using high-performance computing. He has used it to assess bone strength from in vivo high-resolution CT images of the distal radius. On a basic level, he has performed experimental and computational analyses on bones from inbred strains of mice. His scientific work has been published mainly in leading journals in the field; he is an author on over 100 publications in international peer-reviewed journals, 6 book chapters, and over 270 full proceedings and abstracts. According to Web of Science his h-index = 33. Harry van Lenthe is teaching several courses, among which Biomechanics, Musculoskeletal Biomechanics, and Design in Medical Technology. From 2012 till 2016 he served as the Program Director of the Master in Biomedical Engineering at KU Leuven; in that position he was responsible for the quality of the curriculum as well as for student affairs. In the years 2010-2016 he also served as Chairman of the Visitation Committee for the master in Biomedical Engineering. In that capacity he played an important role in the external evaluation of the Biomedical Engineering program at KU Leuven by the Vlaamse Universiteiten en Hogescholen Raad (2011-2012) and by the Commission des Titres d'Ingénieur (2015-2016). Harry van Lenthe has received several awards including the European Society of Biomechanics Research Award (2000). 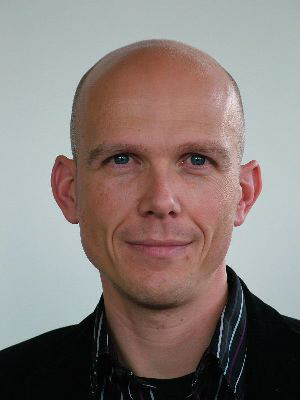 He received a Fellowship from the Roche Research Foundation (2004), received the Young Investigator Award from the International Bone Densitometry Workshop (2004), and holds the Collen-Francqui Chair 2019 at UC Louvain (Louvain-la-Neuve, Belgium).